In a large bowl or stand mixer, beat together eggs, milk, butter, cake mix, pudding mix and sour cream. Fold in blueberries. 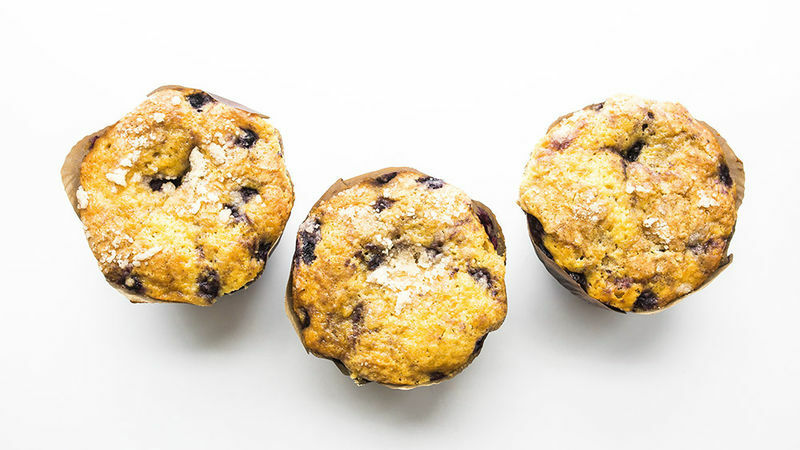 Spoon into a Texas (jumbo) muffin tin, lined with large parchment lotus cups. For best results, fill each cup nearly to the top. To add the optional streusel topping, combine butter, sugar and flour with a fork and sprinkle evenly on top of muffin batter before baking. Bake at 350°F for 45-50 minutes. Allow to cool slightly, if desired.